The Local Artist Program is dedicated to telling local stories using local talent. 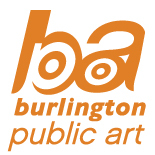 Each year, the City of Burlington public art program commissions local artists to create small to medium-scale artworks throughout the city. This can take a variety of forms including murals, small-scale sculptures and functional artwork such as bike racks and benches. These commissions are open exclusively to artists residing in Burlington, Ont. Free professional development opportunities are available to assist artists with the application process and project development. There are a wide variety of resources related to mural production, installation and conservation online. We have complied a list of useful resources that may be helpful when preparing your application. We’ll keep adding to this list as we come across new resources – so check back often!